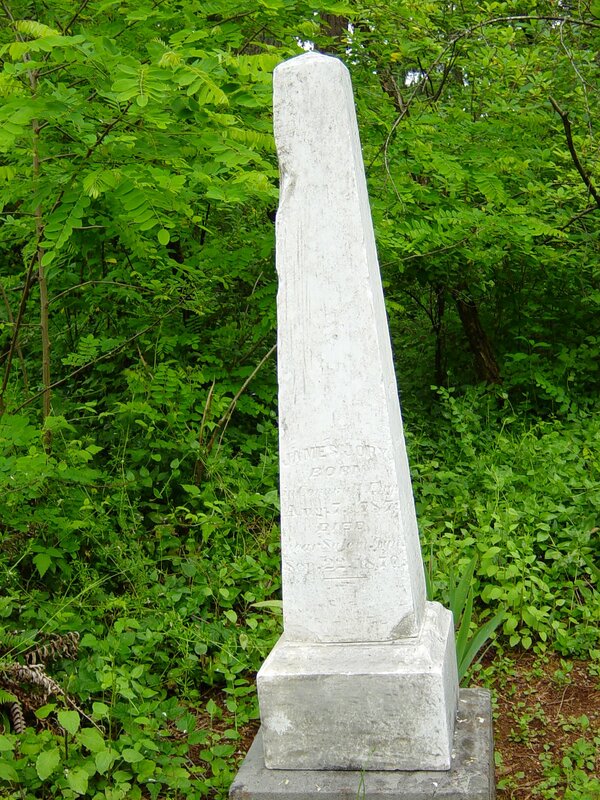 restore and maintain the cemetery. 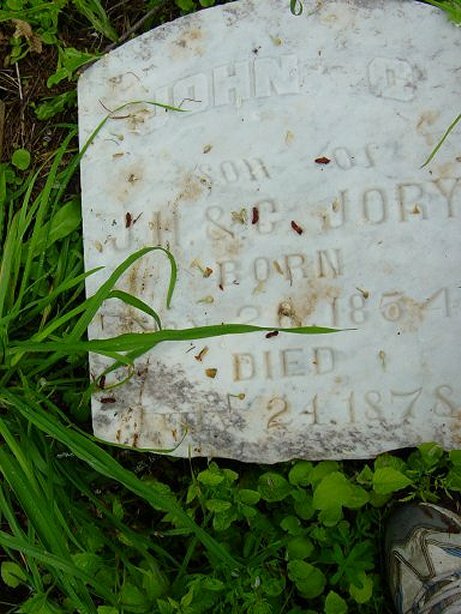 A search was done to identify burials, headstones were repaired and a few new headstones were set to mark the unmarked graves.For further information visit the Jory Family web site. was done by Mark Poulin and Addie Dyal Rickey and published in the local Willamette Valley Genealogy quarterly, Beaver Briefs XIV #4. Since that time much new information has been discovered. The following listing is information as it is known today. 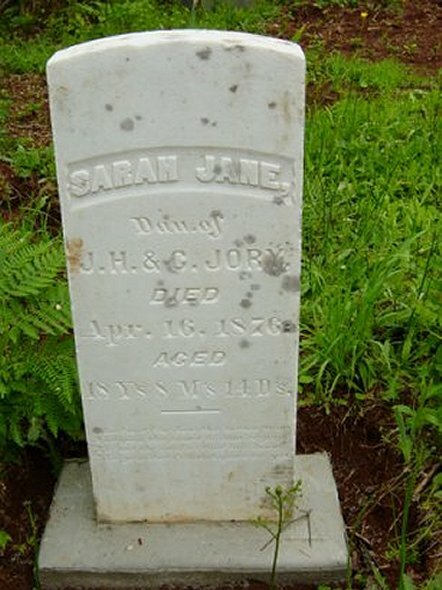 (grandparents of Victor JORY) died on the 31 August 1862 at the age of 4 years and 6 months. 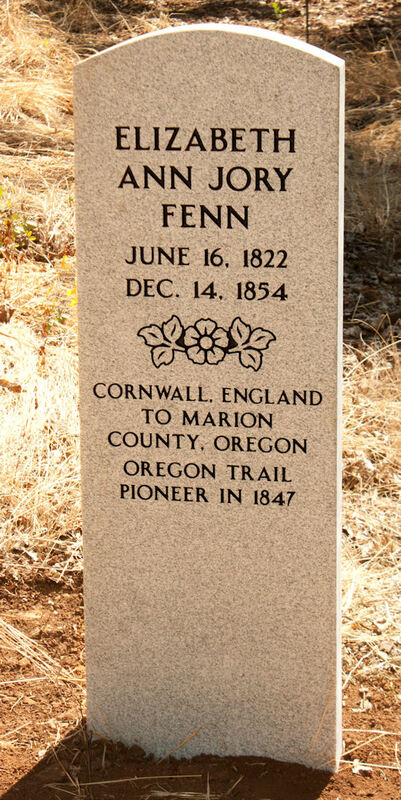 She was first buried here and then reburied in the I.O.O.F (Salem Pioneer) Cemetery. 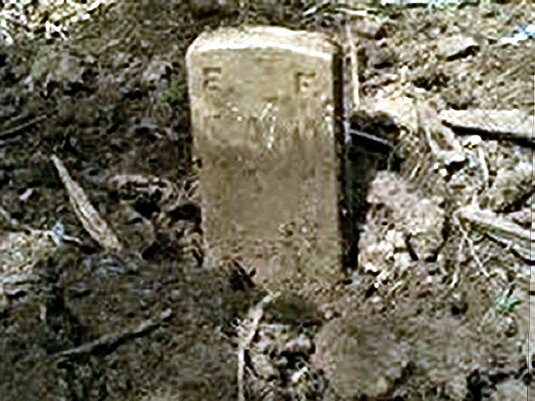 See: Oregon Statesman, September 15, 1862 for notice of the death. Caroline. 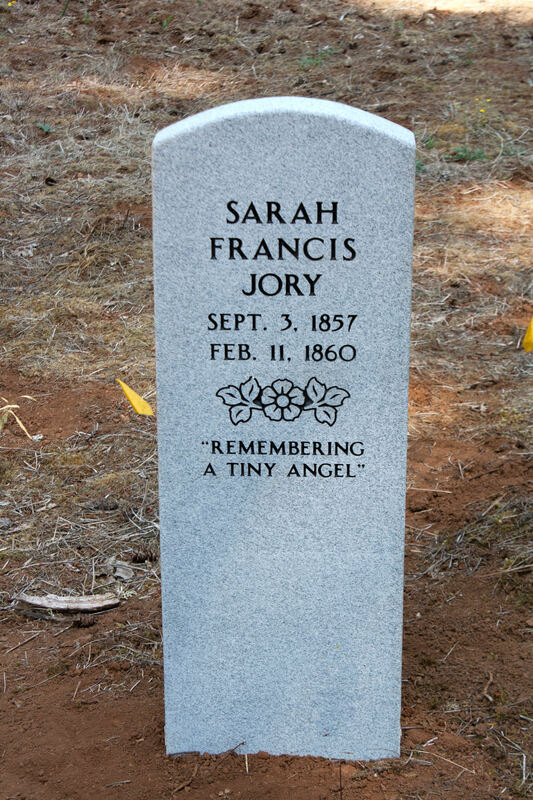 Radar also found that a baby had been buried on top of John & Caroline’s grave. The identity of that baby is being researched. 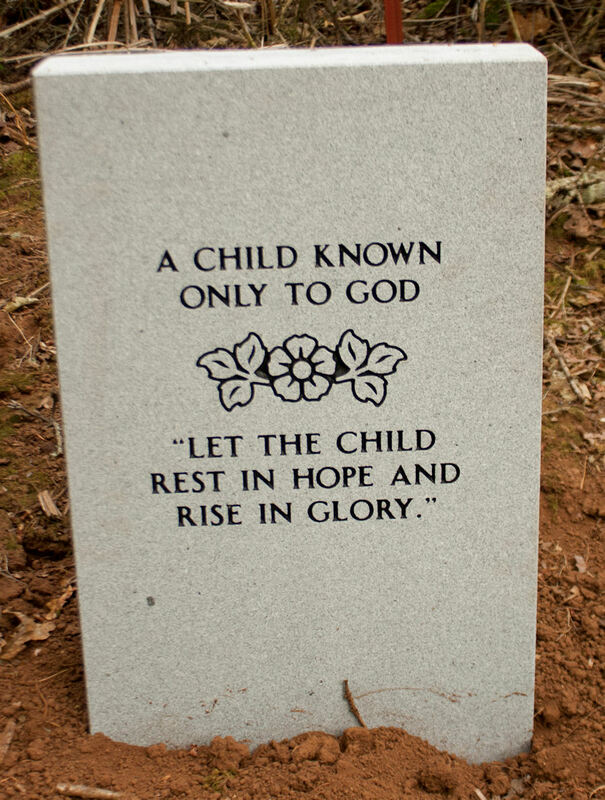 It is believed that an Infant Harper is buried here. "Fabian--At his home, one mile west of Rosedale, at 2 p.m. Wednesday June 20, 1900, of consumption, John FABIAN, aged 29 years. Funeral services will be held at the late home at 3 o'clock this afternoon conducted by Rev. R.C. Blackwell. 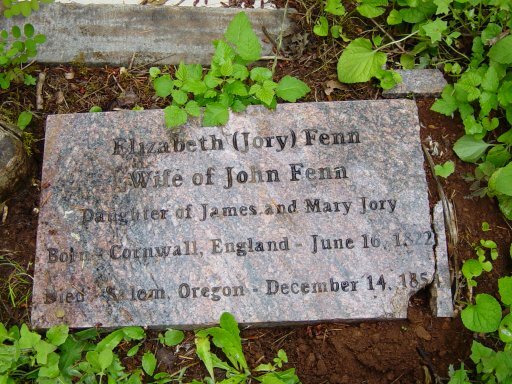 Elizabeth Jory married John FENN on the Clatsop Plains in Oct. of 1847 or 49 just after arriving in Oregon Territory. 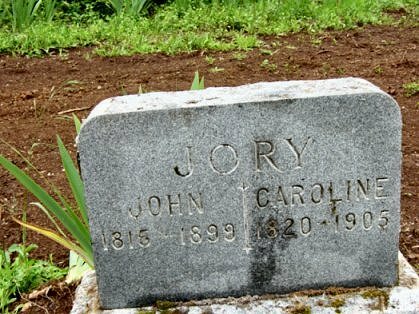 John had married her sister, Mary JORY in 1839 in Pike Co., Ill. and she had died in 1846 and was buried there. John and Mary had 4 known children (Mary Jane, Elizabeth Ann, James William and Thomas Henry); John and Elizabeth had 3 known children (James S., Joseph and Mary) . 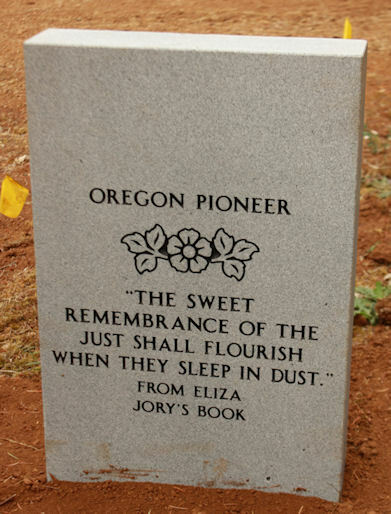 an older Jory relative that Elizabeth was not buried in the rows that now have markers so it would appear her original grave has been located. 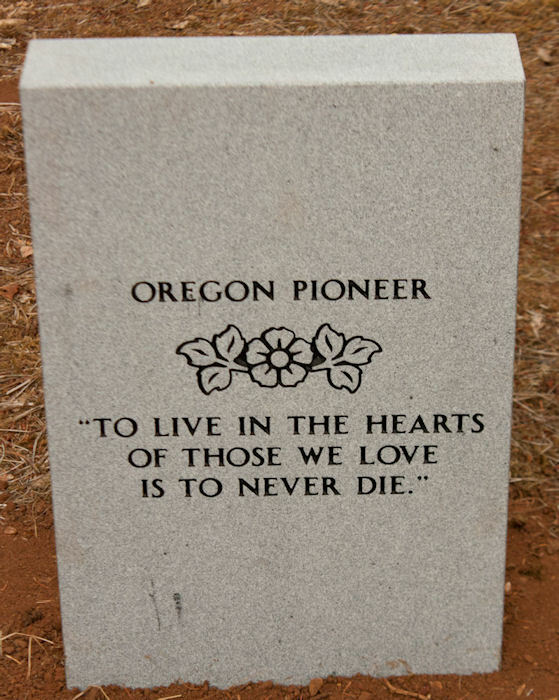 Donation Land Claim #295 Marion County, OR; James Jory Sr.; b. 1787 St. Clair Parish, Cornwall Co, England; arrived Oregon "1847 from IL to which he had come from England in 1832"; settled claim Nov 10, 1849; married Mary in the fall of 1814, Cornwall Co, England. Aff: John H. Jory, Alexander R. Stoughton, Isaac W. Bewley, John Boon, Peter Polly. Declared intention to become citizen in Marion County, Oregon Territory. 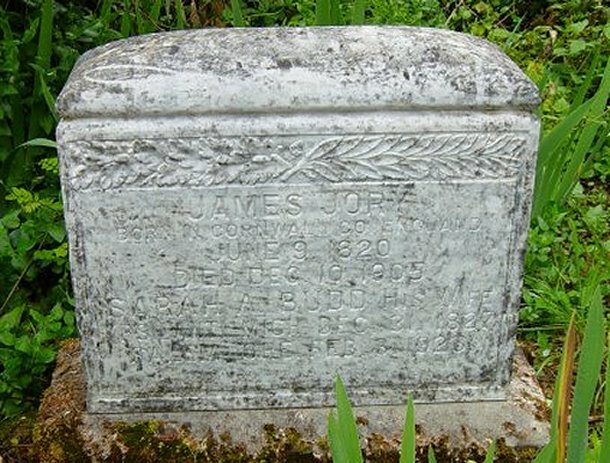 "Died--At the residence of his son James Jory, seven miles south of Salem, on Thursday evening Sep. 22, of typhoid fever, James Jory Sen., aged 83 years and one month. 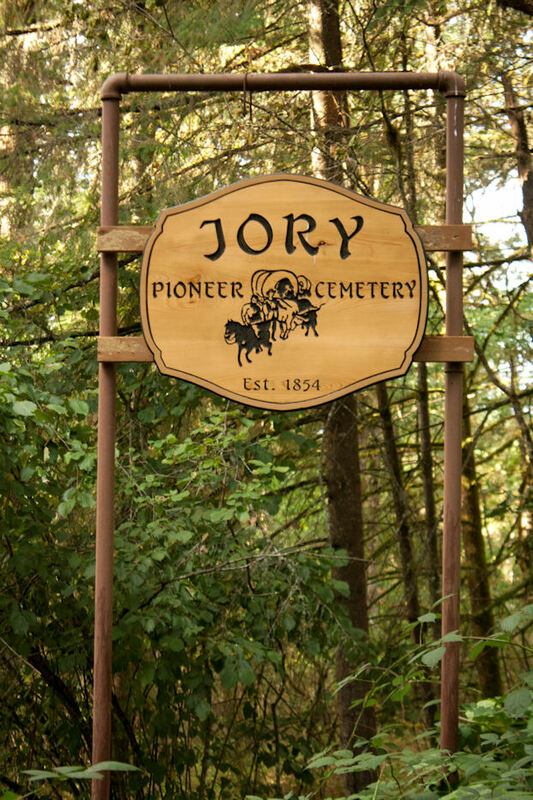 Funeral services at 11 a.m.
"Jory--At the farm home, seven miles south of Salem, Sunday, December 10, at 8:30 a.m.,James Jory, in his 86th year. 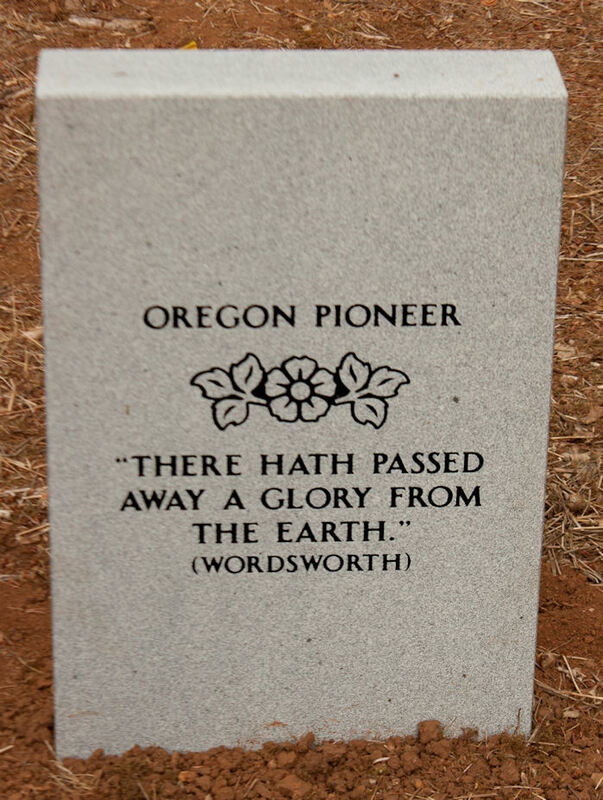 The deceased was one of the early pioneers, as he came to Oregon with his family in 1847. 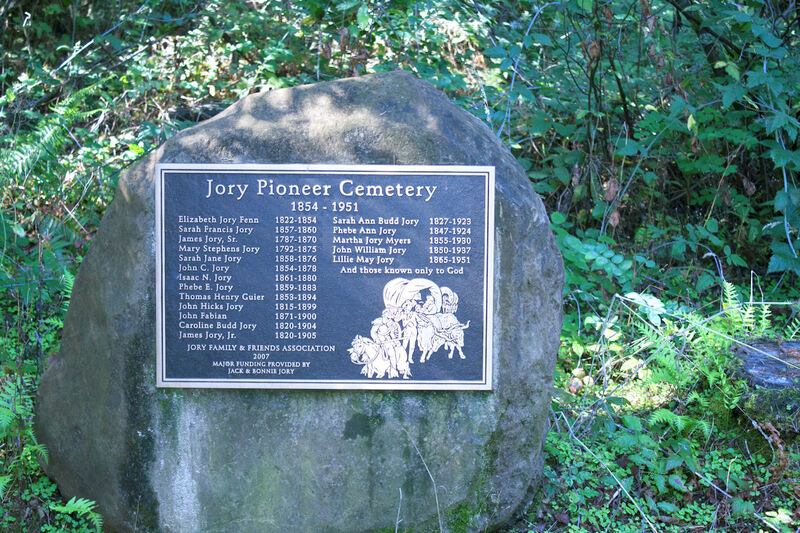 He was one of five brothers to settle in the Jory neighborhood south of this city. He leaves three brothers, his wife and eight children of the immediate family. He was most highly esteemed by a large circle of friends. The interment was had at the Rosedale cemetery yesterday afternoon." in thy place to stand. 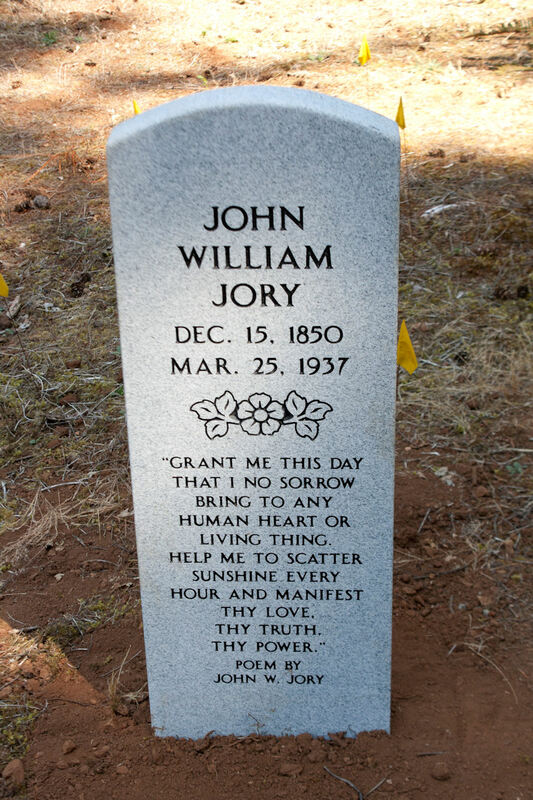 "The Late John Jory of Salem, a Pioneer of 1847--John H Jory, oldest son of James and Mary (Stephens) Jory. County. John leaves his wife and five children. His sons James and Hughy live in Marion County. His daughter Mrs. Mary Holmes is from San Francisco, Calif.
and daughter Mrs. Emma Laskey of Benton County. His son Daniel lives in Grants Pass, Oregon. Also surviving are his brothers James, Thomas, William and Hugh. Wednesday evening, June 14, 1899, at the residence of his son, Hugh F. Jory, on east Court street, this city. James, Thomas, and William, of South Salem. Rosedale. He was a constant member of the Methodist denomination.During the last fifteen years of his life he suffered greatly from kidney trouble. He never married. 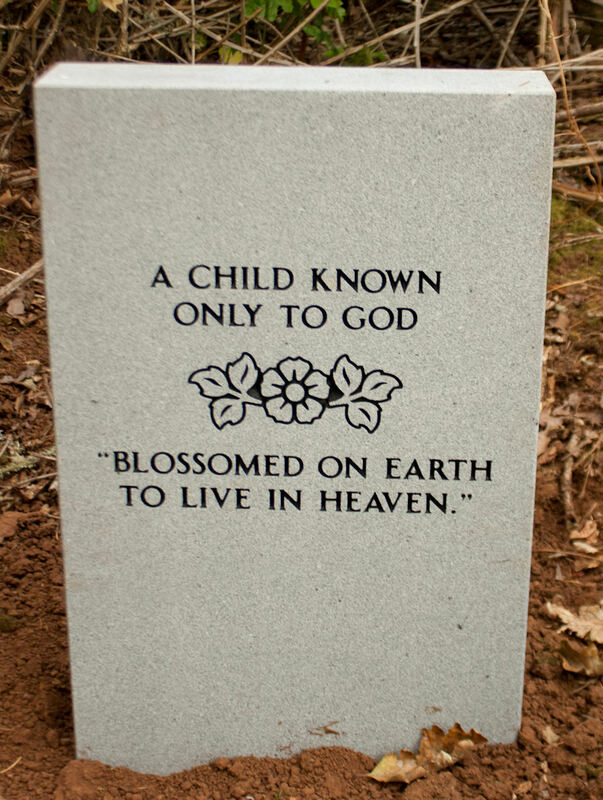 A stone was not placed at his gravesite at the time of burial and was added in recent years. He was also a historian of sorts and wrote a letter telling the story of Battlecreek in the "Ladd & Bush Quarterly" of April 1915.
were eleven children: Phoebe A., who resides at home: T.C. who is a teacher in the schools of Dundee, Oregon; John W., the subject of this review; Mary J., who is the wife of F. R. Reynolds of Marion county, Oregon; Elizabeth C., who married Rev. 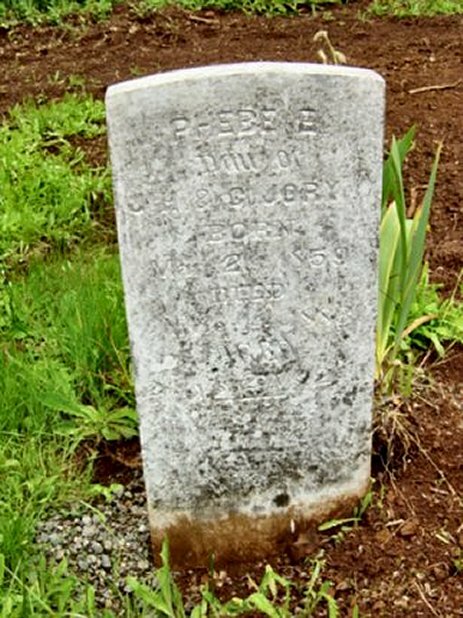 J. Swayne of  Centralia, Washington; Martha K.. who resides with her mother; Sarah P., who died at the age of two and one-half years; Henry D., an editor of North Yakima, Washington; Arthur B., deceased;  L. May, at home; and Percy A. who is deceased. All of the members oi the family are well educated and four of the sisters are graduates of the Willamette University. in eastern Oregon. The home place which he operates, contains in one undivided tract, two hundred and seventy-five acres which belong to the heirs. In all he manages over four hundred acres, on which he principally is raising grain and blooded stock. died Thursday, after an illness of four months. She was 86.
had lived at the home of a niece, Mrs. Edith Stone at 2305 15th Street, where she died. with Mr. Jory Sr. being the first of them to arrive in this area. 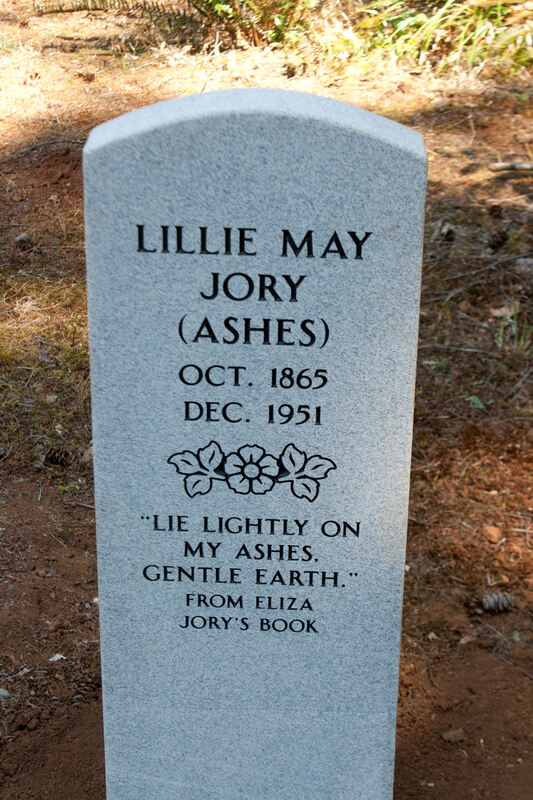 Her five brothers and five sisters predeceased Miss Jory several years ago. Besides Mrs. Stone, she is survived by nieces and nephews and several cousins. She was a graduate of Willamette University; taught school; never married and lived with her brother John William JORY until he died. A stone was not erected at that time and her ashes were scattered later. b. 28 Sep 1792 St. Cleer Parish, Cornwall Co, England. 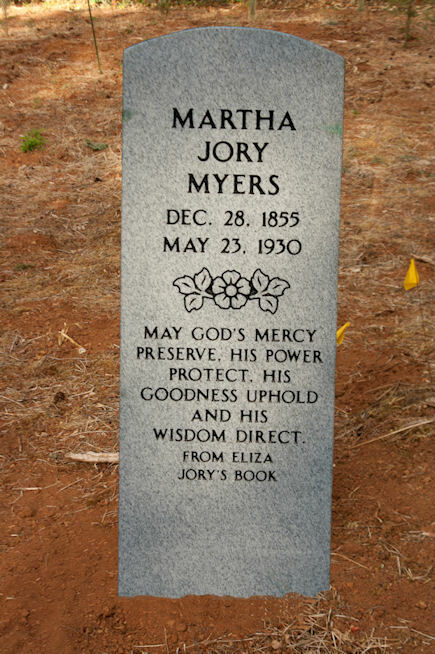 wife of James Jory Sr. Oldest daughter of James Jr. and Sarah Ann BUDD. She was born on the way to Oregon. An interesting sketch of the JORY family appears in the History and Biography of Klickitat, Yakima and Kittatas Counties, Washington pub 1904, pg 702-703.
died yesterday. She was the widow of the late James Jory. 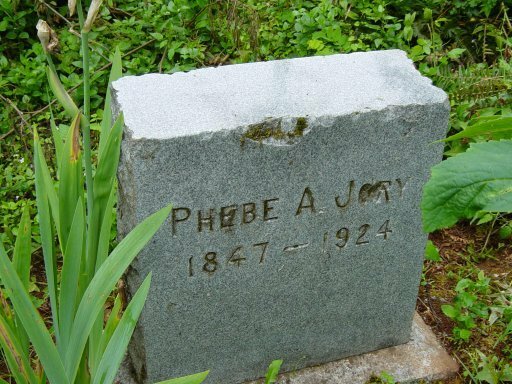 Miss Lily May Jory, Mrs. Lizzie C. Swayne of  Chehalis, Wash.  Two sons also survive; John W. of the vicinity and Henry D. of Oliver, B.C." daughter of Jas. Jory, Jr. and Sarah Jory, of Marion Co."
The gem that filled it sparkles yet. 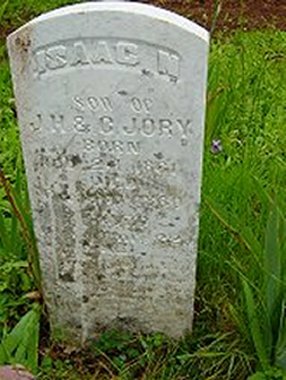 and Henry D. Jory of Oliver, B.C. Funeral services Sunday afternoon at 2 o'clock at the Friends church at Rosedale, with interment to follow at the Jory cemetery at Rosedale. Arrangements by Rigdon and Son.